The 2019 Wisden Cricketers’ Almanack is out this week and with that comes the traditional announcement of the five cricketers of the year, followed by the traditional howls of rage from people on the internet who don’t understand the criteria. The Five are named based chiefly on the previous English summer, and a player can only win the award once. The Five therefore don’t always necessarily include the world’s best player. Happily for everyone, this year it does. Virat Kohli is in after his stellar summer in England last year, while Rory Burns’ runs and captaincy for runaway county champions Surrey earn him a well-deserved spot in the five. Jos Buttler’s continued one-day miracle work and emergence as solid Test batsman for England mean he gets the award that some – including, to our enormous shame, us – might have assumed he’d already won having been so good for so long. Sam Curran’s stunning breakthrough summer for England, playing an integral role in the thrilling Test series win over India. Curran seemed to spend the whole summer making 76 after coming in at 67/5 and then picking up a handy 2/37 with the ball. It’s only slightly an exaggeration. Three women were in last year’s Five after the stunning World Cup success in 2017, and this year there’s a place for Tammy Beaumont after she smacked three hundreds for England in the space of nine days. Check out our alternative five cricketers of the year here. Kohli is also named as the leading cricketer in the world. 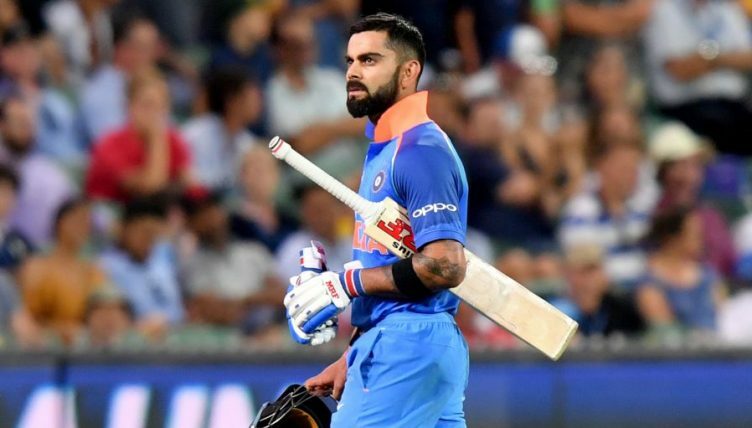 Unlike the ‘Wisden Five’ the award can be won by a player more than once, and Kohli’s is now a three-year reign at the top of the sport. Smriti Mandhana is named the leading woman cricketer in the world, following in the footsteps of Meg Lanning, Suzie Bates, Elysse Perry and Mithali Raj in an award introduced in 2014. Rashid Khan was named the leading T20 cricketer in the world after another stunning year of nonsense stats for the Afghanistan leg-spinner all around the world. Wisden had already released the cover of this year’s book, featuring England’s two statistical greats of the age, Alastair Cook and James Anderson.